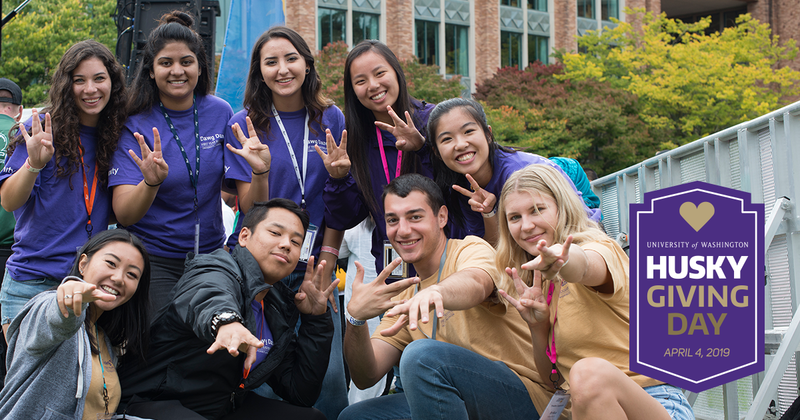 Today all gifts to the UW Parents Fund will be increased by 50% by the Husky Experience Matching Fund, helping us support even more Huskies! Gifts totaling $2,000 (including the match), we would welcome you to join The President’s Circle as a recognition of our gratitude. There are many benefits, including an invitation to parent reception with President Ana Mari Cauce during Parent & Family Weekend, and more! Parents and families who make a gift to the UW Parent & Family Fund for Student Success makes a difference to the student experience. This year, gifts to the UW Parents Fund provided support to services and programs on campus that help our current students explore, engage and pursue out-of-the- classroom learning opportunities. Emergency Resources – programs and services that help students stay afloat during difficult times such as UW Food Pantry, scholarship and emergency aid. If you have any questions, please email us at uwparent@uw.edu.